The book is edited by Dr. Rachel Finnegan, Programme Leader for the MA in Arts & Heritage Management,Waterford Institute of Technology. It is Volume 1 of the Grand Tour correspondence of Dr. Richard Pococke (then Precentor of Waterford Cathedral and shortly afterwards appointed Vicar General of Waterford & Lismore) and his cousin Jeremiah Milles (shortly to become Treasurer of Lismore Cathedral). 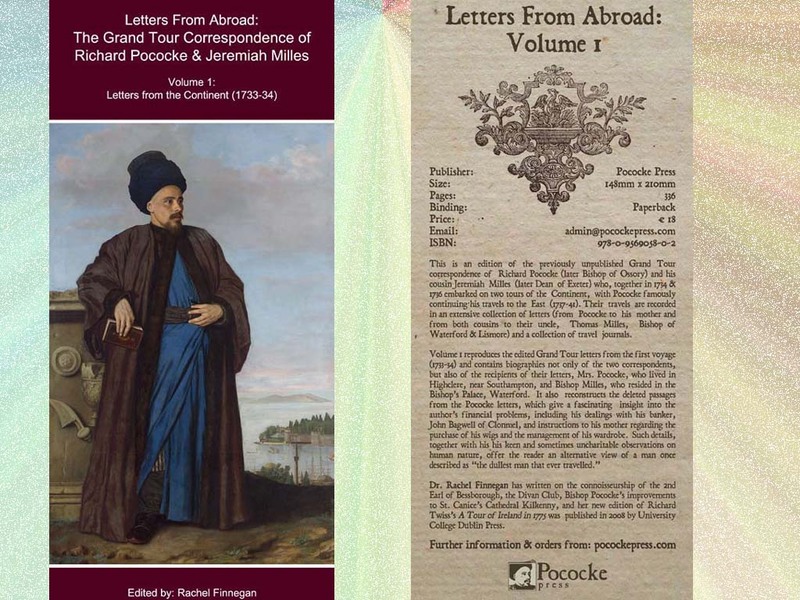 Together they toured France & Italy in 1733-34 and wrote a large collection of letters to their relatives, including their mutual uncle, Thomas Milles, Bishop of Waterford & Lismore.